Let's Connect For Dot Day 2017....You Will Find The Google Doc Here! Let’s connect our DOTS and make our MARK on the world! 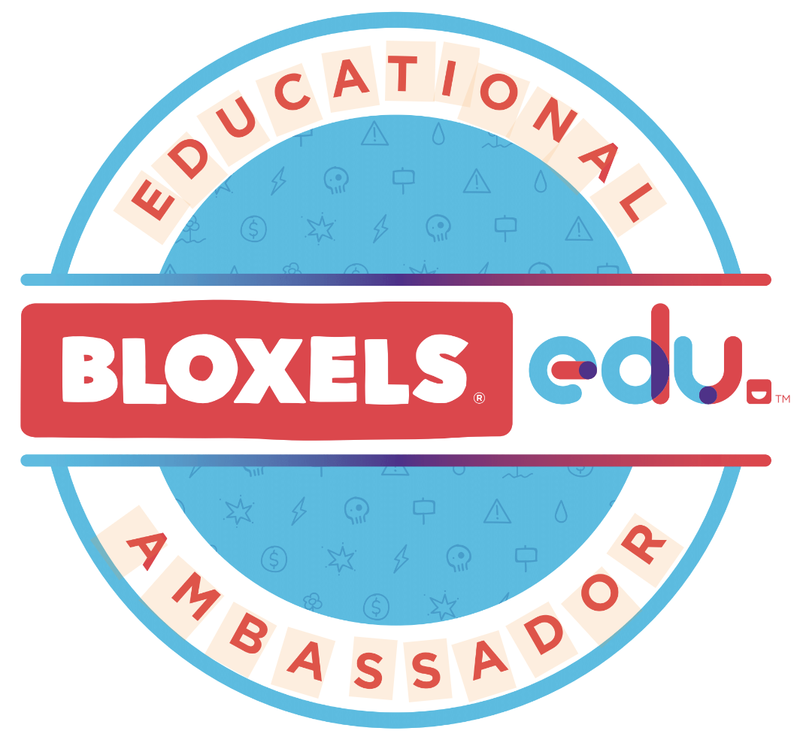 So many of us are already talking about connecting and doing fun things for DOT DAY so lets start our collaboration here. With only 78 days until International Dot Day, let’s all create a Dot Day MARK on our Google Doc and find someone to pair with to leave your mark. 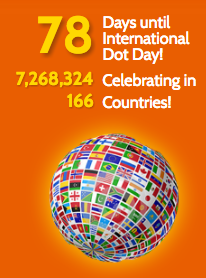 Please use the 2017 Dot Day Google Document to start connecting with others, brainstorming, planning, and setting up your schedule for all of the Dot Day celebrating you are going to do. If you have questions, please don’t hesitate to reach out to us on Twitter @shannonmmiller or shannonmcclintockmiller@gmail.com @matthewwinner or mwinne2@gmail.com and @plemmonsa or plemmonsa@clarke.k12.ga.us. 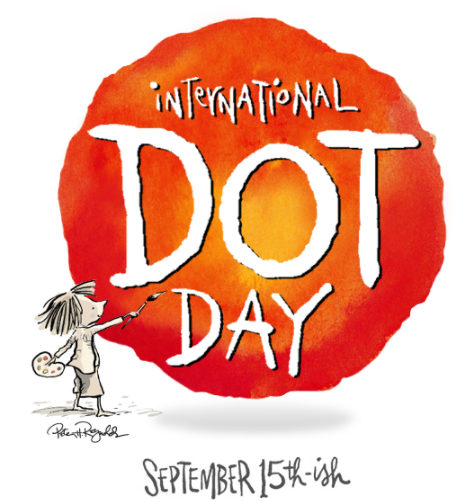 Check out the DOT DAY ACTIVITIES Pinterest Board here! 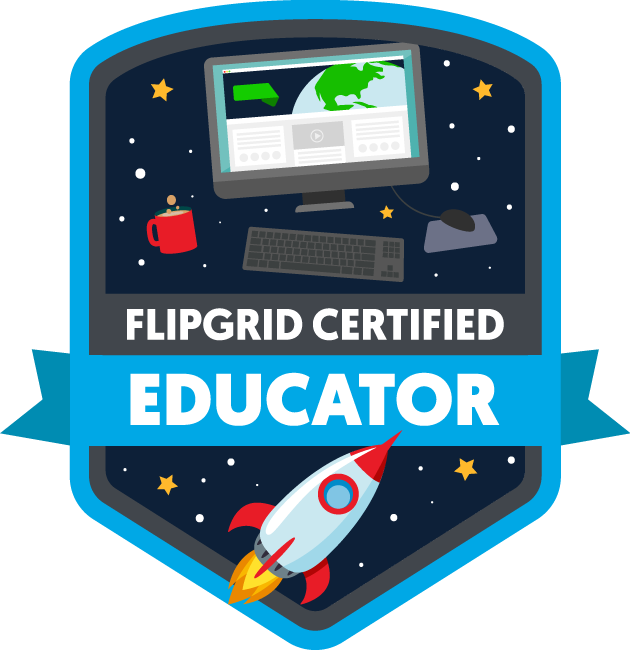 Become Flipgrid Certified This Summer! 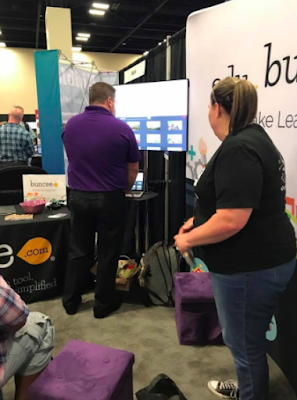 It sure was awesome seeing Flipgrid at ISTE! 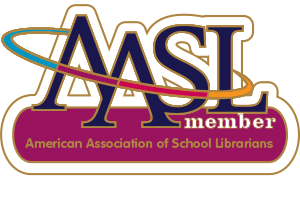 Everyone is very excited about this amazing digital platform....especially since it took home an AASL Best Website Award last week too! 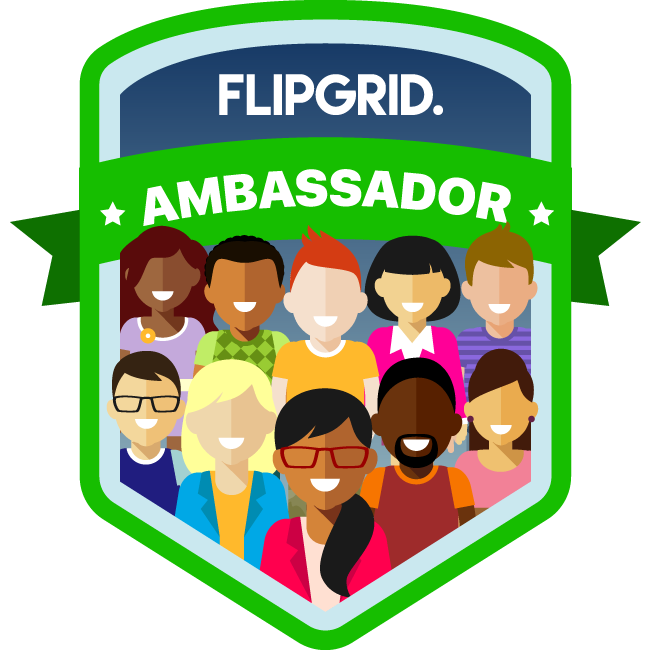 And now here is a way to empower student voice even more....Become Flipgrid Certified! 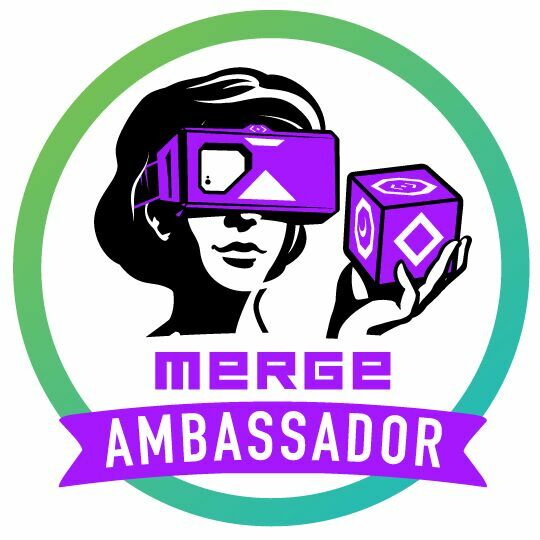 Find out how you can become Flipgrid certified too! 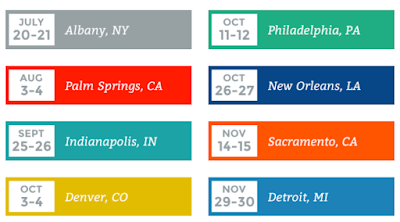 Take A Look Into The Future Ready Schools Institutes...And Register To Join Us Today! With the Future Ready Schools Institutes right around the corner, everyone has been working very hard at creating these amazing two days events for district leaders, instructional coaches, principals, technology leaders and of course....librarians. 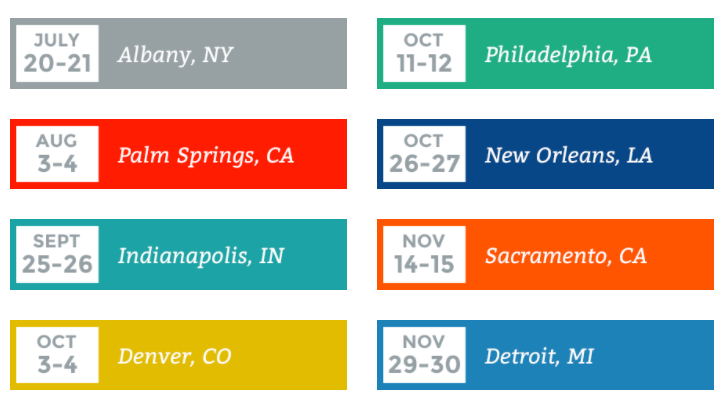 The Future Ready Schools Institutes are free two-day events which will empower you to connect with others, explore your role as Future Ready and develop your leadership and skills. The eight events will be held around the country between July to November. You will find all of these and the registration information here. You can also see the detailed Future Ready Schools Regional Institute Agenda here, which will give you a glimpse into our two days together. 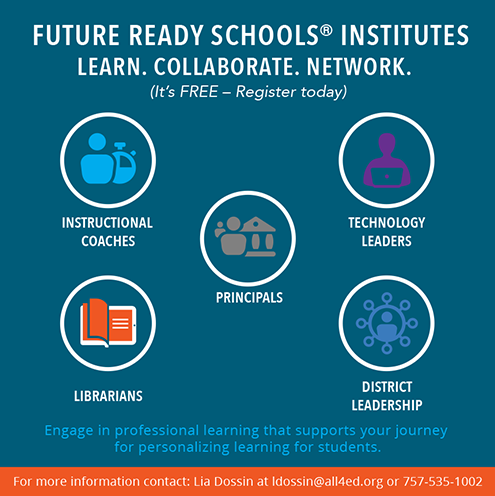 We have brought together a terrific team of leaders, along with others from around the country, to make the Future Ready Schools Institutes events something you won't want to miss. Register today and if you have questions, please reach out to Lia Dossin at ldossin@all4ed.org for more details. 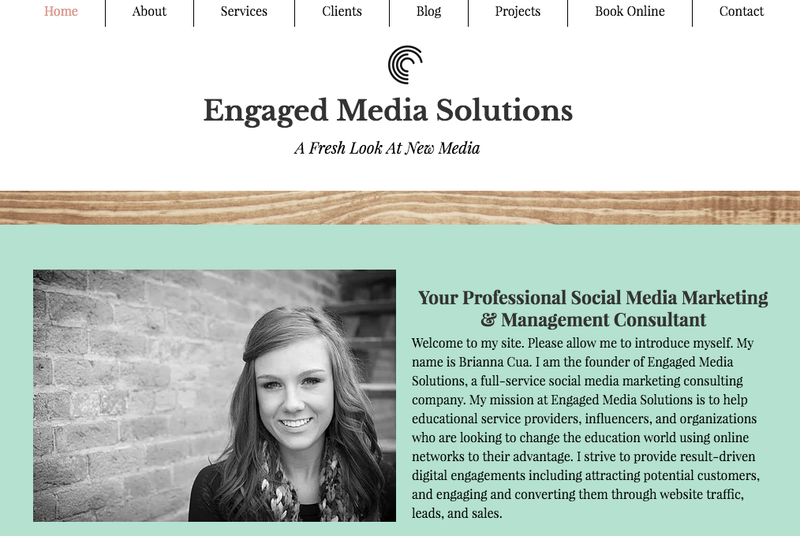 Engaged Media Solutions Has A Brand New Facebook Page! My daughter Brianna and her social media marketing and management agency, Engaged Media Solutions, has a brand new Facebook page. And it is awesome! With her mission at Engaged Media Solutions being to help educational service providers, influencers and organizations change the education world using online networks to their advantage, I know that so many of you will love to follow her work too. 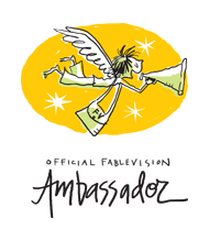 Also, her wonderful website can be found here. 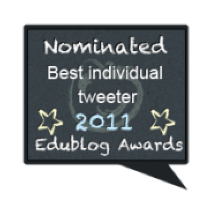 Hottest Thing At ISTE.... 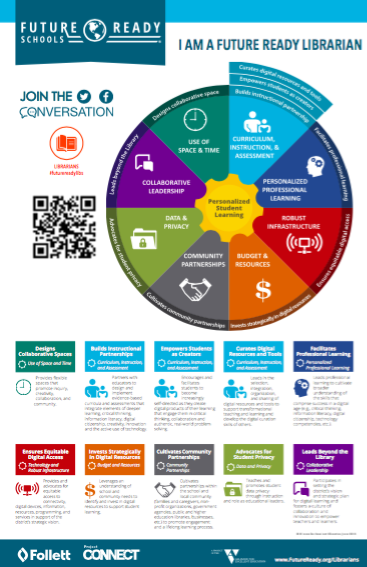 The Future Ready Librarian Poster and All Of The Amazing Conversations Too! 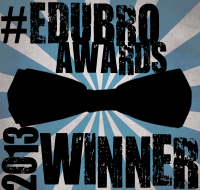 Over the last week at ISTE, there was a little buzz in the air. It was all about Future Ready Librarians with conversations, presentations and celebrations taking place within the librarian and education world. 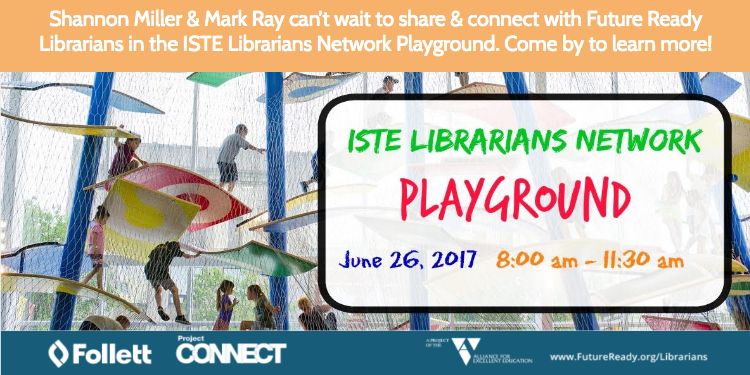 I had the honor of sharing in the ISTE Librarians Playground on Monday as Mark Ray and I talked with so many about Future Ready Librarians. As we shared, Mark and I had a little something special to give away too. It was the I Am A Future Ready Librarian poster that we dreamed up over the last few weeks. 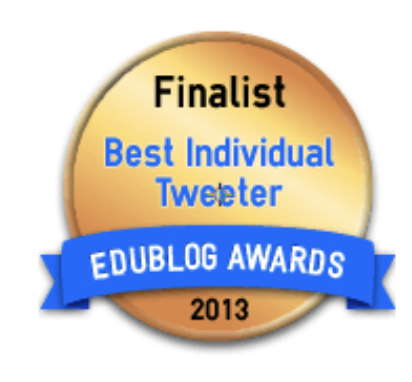 We gave away hundreds of them during the ISTE Playground to librarians, educators and even several students. I put them in the Follett booth and they flew out of there too. 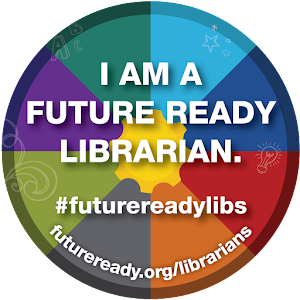 I even had one man come up to me and say, Oh, is that the Future Ready Librarian poster? My wife wanted me to come to ISTE and find her one! That just made my day. Below is the post I wrote a few weeks away about the posters and where you can download yours. 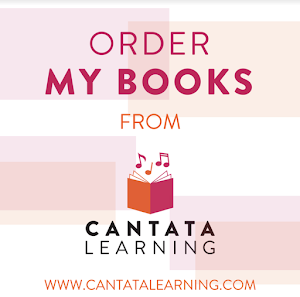 I will also have them with me at conferences and your Follett reps will be carrying them too. Remember... 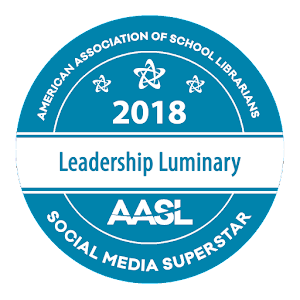 This is a wonderful way to kick off your year as you work and evolve as a Future Ready Librarian. 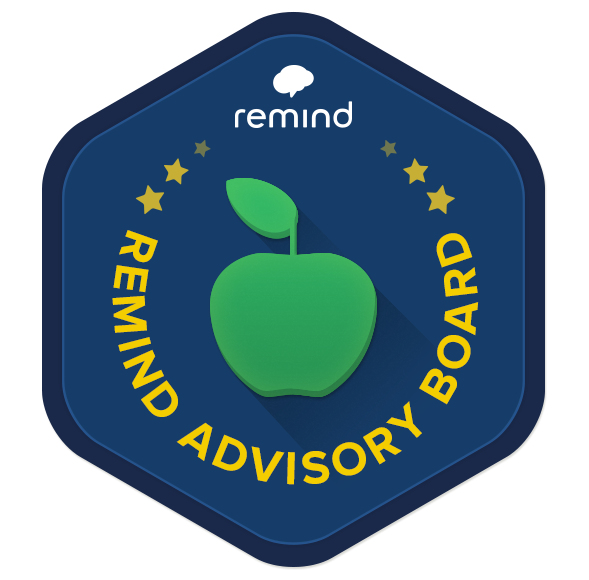 You can share them in the library, put them in teacher mailboxes, bring them to your administrators and make sure they are in the parents hands. Everyone will benefit knowing what you, as a Future Ready Librarian can do. As I share the Future Ready Librarian framework during presentations and at workshops, conferences, webinars and other events, I not only share Future Ready Librarians and all of the gears that empower us to drive change, embrace personalizing student learning and lead beyond the library, I also brainstorm and share ideas for making FRL part of any school and learning community. 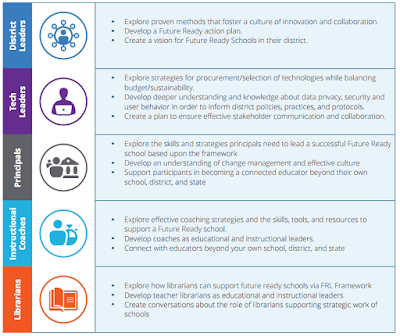 You can share the Future Ready Librarian framework in school wide professional development; back-to-school night with parents; copy it off and slip into teacher mailboxes; and how about hanging it up in the library and other places in the building. 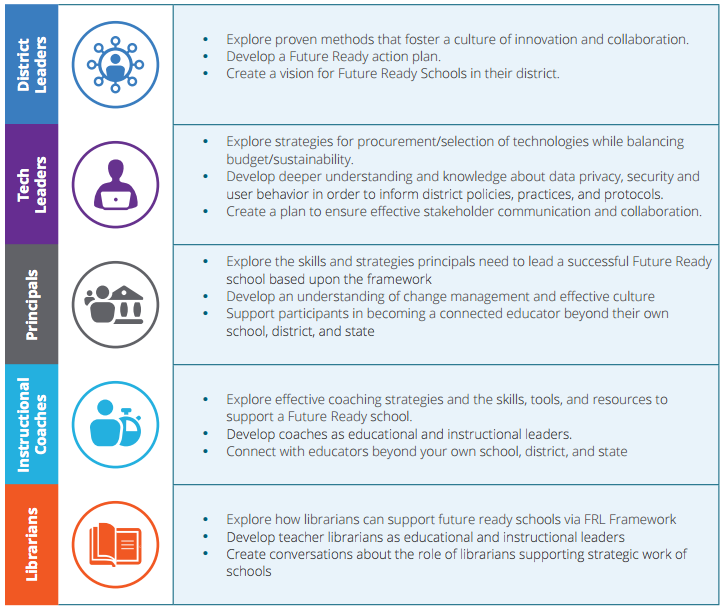 Why not make the Future Ready Librarian Framework into a poster with a super title like "I Am A Future Ready Librarian" across the top? The poster could include how to connect socially and also through a QR code. 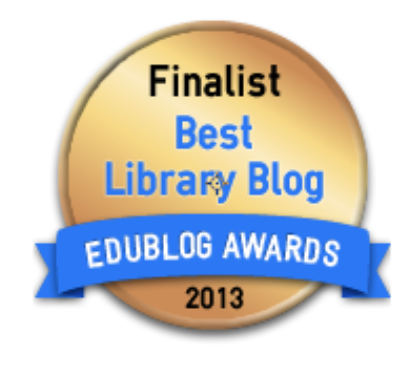 It could be a very useful tool for all of us as we move ourselves and libraries to being Future Ready too. I contacted my friends at the Alliance for Excellent Education and Follett as we went to work in creating a poster we could use and get into the hands, libraries and learning communities around the country sharing, strengthening and celebrating our Future Ready Librarians. Today, Future Ready Schools had it ready to go and shared it on Twitter! It is just so awesome and one that you will want to print off, hang up and point out to everyone too. 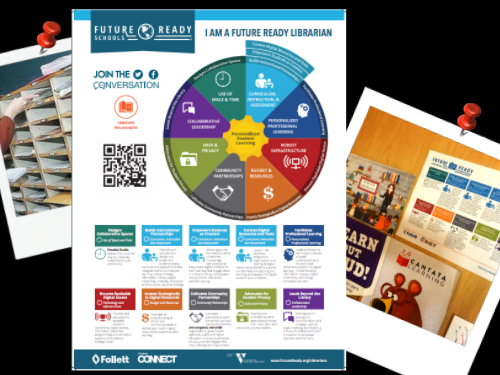 You can find the 11 x 17 or 18 x 24 Future Ready Librarian poster here. Feel free to copy it and use in some of the ways we just discussed and thought about. One Of The Best Parts Of ISTE 2017....Playing Buncee Doodle! 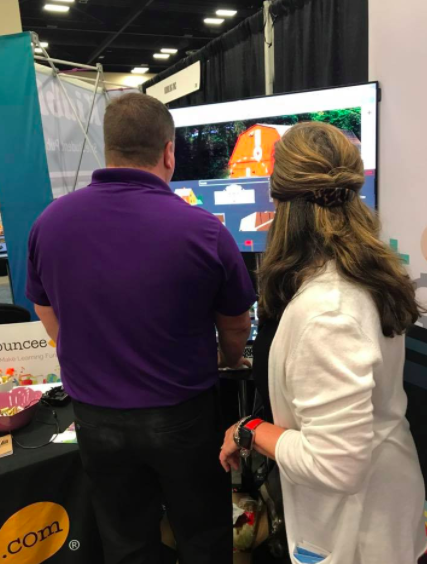 One of my favorite things at ISTE was finding a group of educators and others having a blast playing a game together in the Buncee booth. They were playing Buncee Doodle! 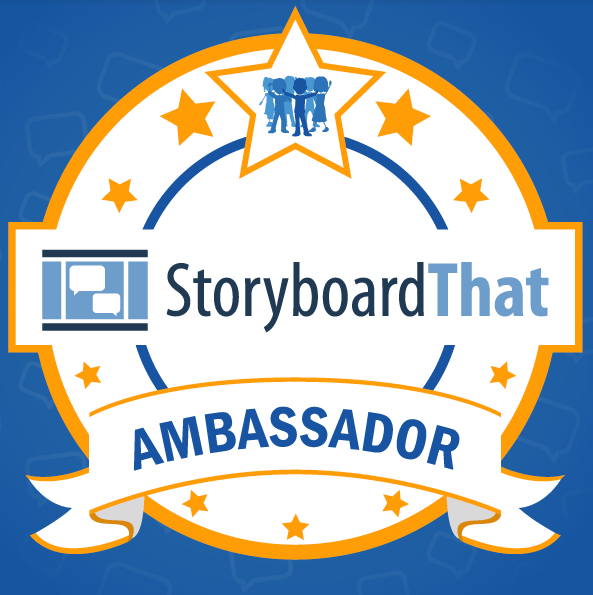 Amy Storer, one of the awesome Buncee Ambassadors, called Eric up to the screen for a turn. Now, you might be thinking.... 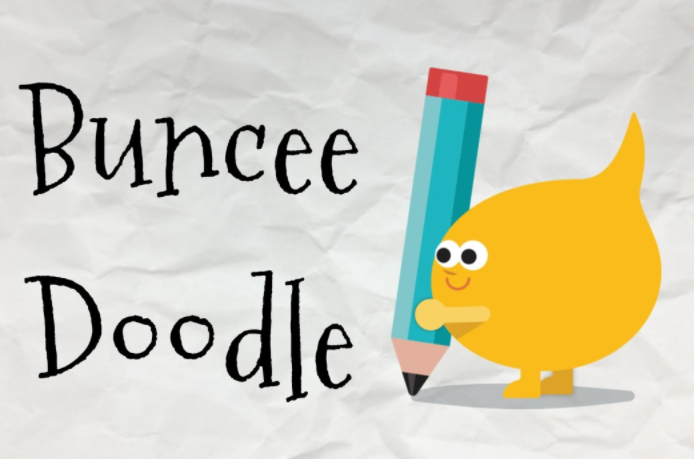 Wait, what is Buncee Doodle? Well, let me share before I share what happens next with Eric! 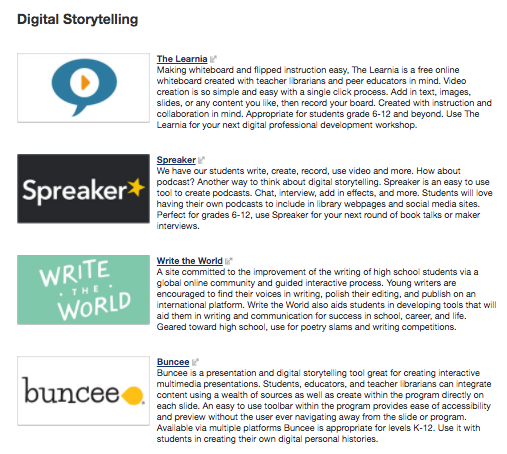 So, what exactly IS Buncee Doodle, you ask? It’s a fun new game that you can do with your students! We’ve brought in Buncee Man, the Buncee Doodle expert, to tell you all about it! 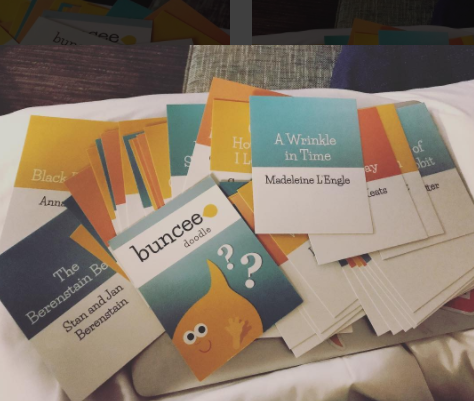 Buncee Doodle originated from the minds of Buncee Ambassador and educator Amber McCormick & our very own Claire Cucchi. 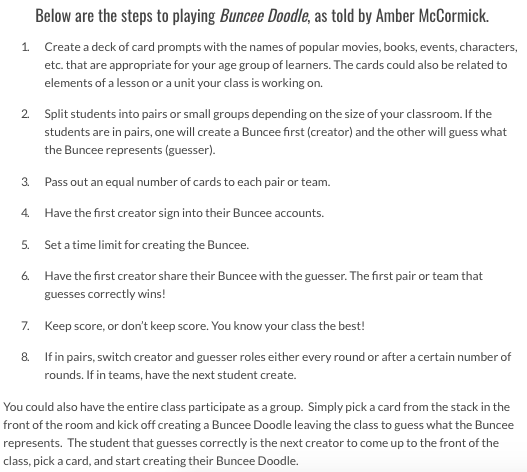 This game of creating & guessing requires students to create Buncees based off prompts. The student keeps their prompt hidden from their partner(s), and once they are done creating, their partner(s) must guess what the Buncee represents! It’s a totally fun addition to all kinds of lessons, and all you need is a timer, devices, and Buncee accounts for your students. 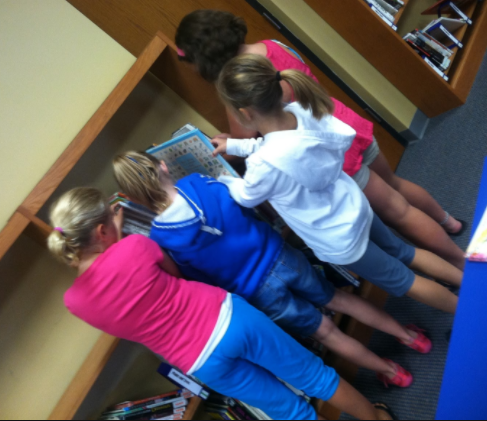 For ISTE, they created a stack of cards with book titles and authors. 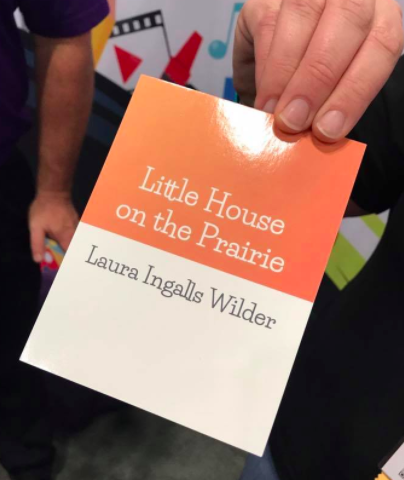 Eric's card said he had to draw Little House on the Prairie by Laura Ingalls Wilder. This was his first time creating in Buncee, so Marie Arturi (Buncee CEO) helped him out a bit. And then we all guessed! 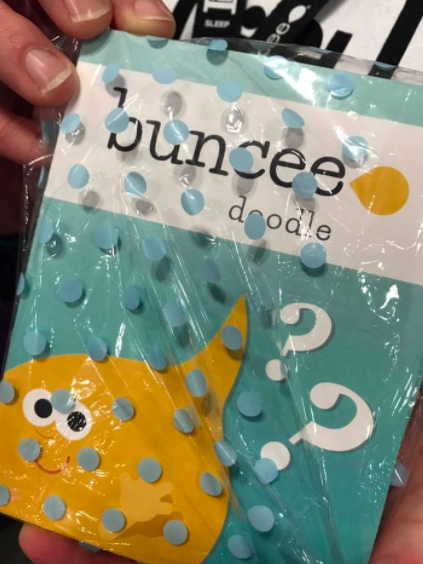 I am so excited about Buncee Doodle! Buncee Doodle can be used for so many things...New books in the library, science review, math problems, retelling historical events, library orientation, rhyming words, sharing opposites, famous people and even as an ice breaker in getting to know each other at the beginning of the year. In fact, it would be really fun for teachers to play at the beginning of the year. 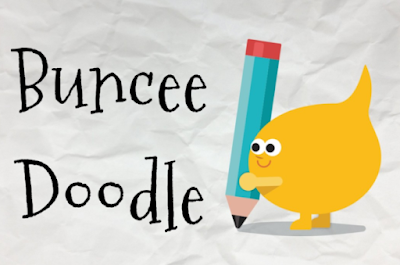 We can't wait to see how you would play Buncee Doodle too! 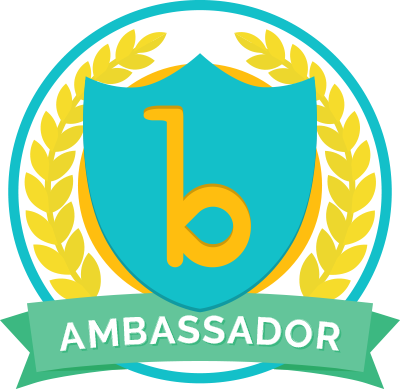 You can sign up for Buncee here today. 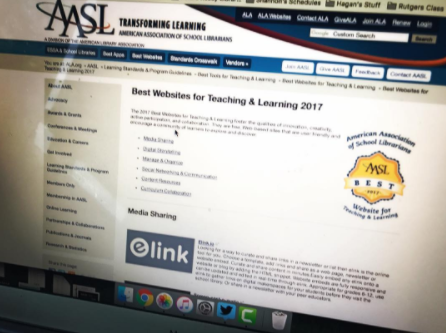 2017 AASL Best Websites Announced Today! 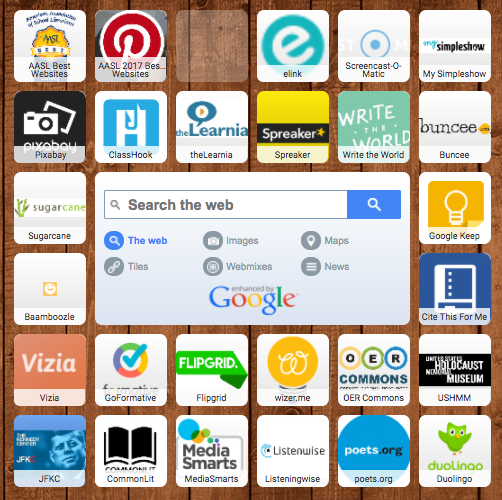 Get The Symbaloo, Pinterest and List Here! 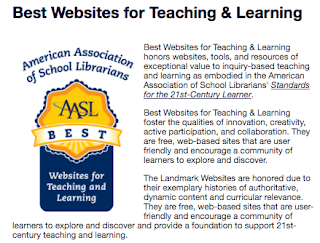 This afternoon at the ALA Annual Conference in Chicago, the AASL Best Websites Committee announced the 2017 Best Websites for Teaching and Learning! 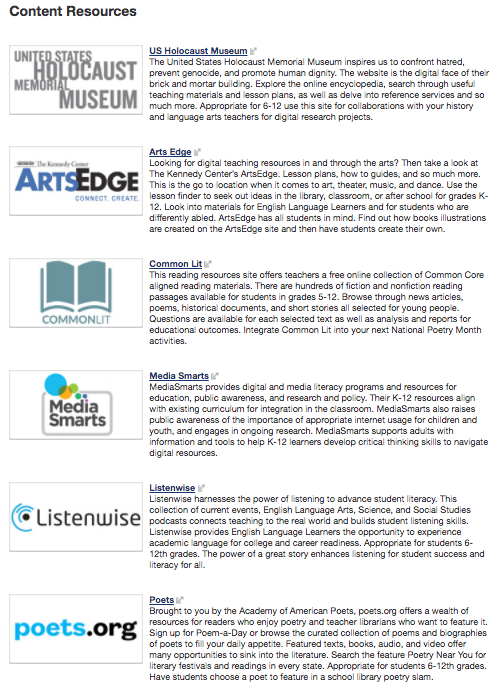 Being part of this amazing committee, I am always super excited and proud to announce these websites that I know will make a difference for so many teacher librarians, educators and especially students. 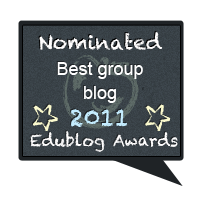 Each year we select 25 of the best from a large list of websites we find, review and try. As you can see, we will have lots of fun this summer exploring all of these and getting ready to implement and share with others during the next school year. I know I will be trying all of these out even more all summer long! 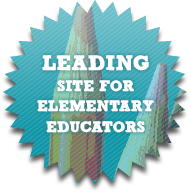 ...a 2017 AASL Best Websites for Teaching and Learning Pinterest Board too! And remember, on our website you can get to all of the past AASL Best Websites too. These are always my favorite places to go each year....and I know you will LOVE them too! Join Us For The Follett ISTE 2017 Lunch and Learn Next Week! 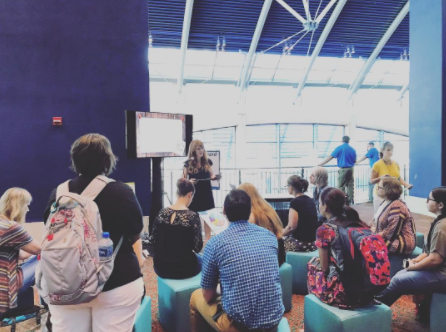 With ISTE a week away, there are so many wonderful things we don't want to miss. I have another that you need to put on your calendar! 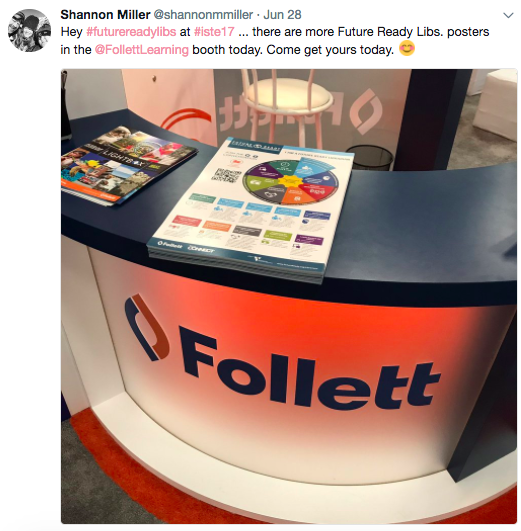 It is the Follett ISTE 2017 Lunch and Learn where Jason See, Follett School Solutions senior product manager, and I will be talking about Collections, curation and Future Ready Librarians. I hope you can join us for this special event over lunch on Tuesday, June 27 from 12:00-1:00pm. It will be at the Marriot Rivercenter in the Grand Ballroom, Salon 1. 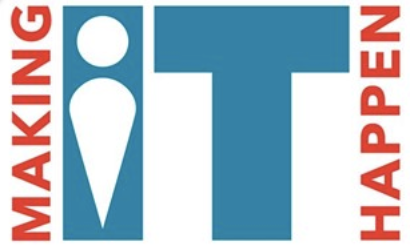 You can register for the Follett ISTE 2017 Lunch and Learn here. 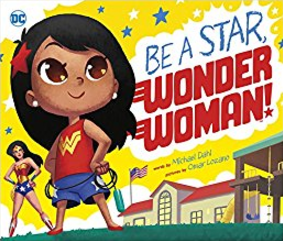 Wonder Woman...A Fun & Inspiring New Book From Michael Dahl and Capstone! As you know, Wonder Woman has been making quit an impact this summer with the premier of the movie and all of the things that come with a new movie including clothes, jewelry, games and more. And the thing I love most...all of the books! As a new day dawns, a young girl faces the ultimate challenge: school! 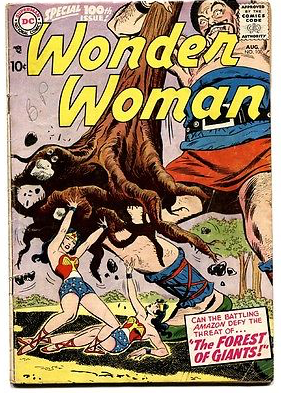 Follow along as she demonstrates her greatest superpower (sharing), overcomes her worst fear (the playground),and conquers her archenemy (the spelling test).With courage, kindness, and other heroic traits of DC Comics' Wonder Woman, she'll turn a difficult school day into an AMAZING ADVENTURE! 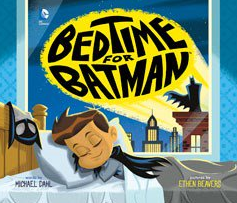 Along with Omar Lozano's bright, bold illustrations, bestselling author Michael Dahl (Bedtime for Batman and Good Morning, Superman) delivers an imaginative read-aloud for your littlest super heroes. 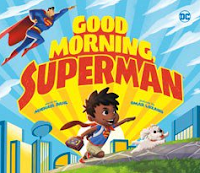 You also need to watch this ADORABLE book trailer from Capstone too. Last week as I was thinking of sharing this book on my blog, I thought it would be cool to also ask my friend Michael Dahl about his new book, which by the way joins Bedtime for Batman and Good Morning, Superman by Michael too. 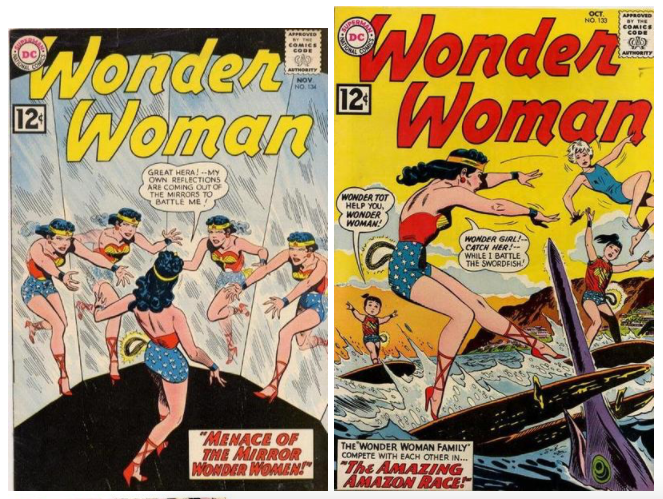 I know you will love Wonder Woman just as much as me! And just wait until your students hear this inspiring little story too. NEW! 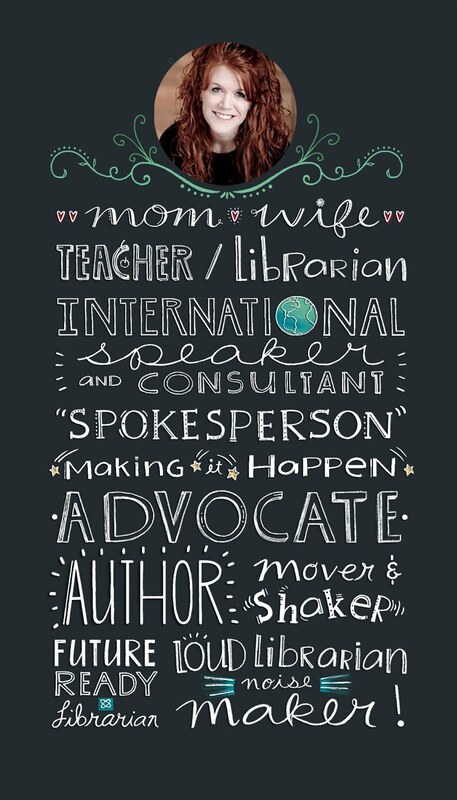 I am a Future Ready Librarian poster! Download to print & hang on your wall. 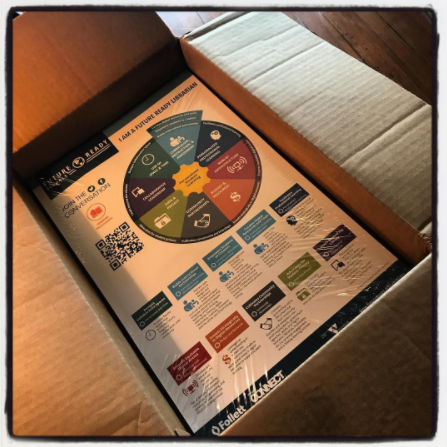 Also, Mark Ray and I will be handing out posters at the ISTE Librarians Network Playground from 8:00am to 11:30am CST Monday, June 26..and other places throughout the conference. Read With Sarah Jessica Parker By Joining ALA Book Club Central! 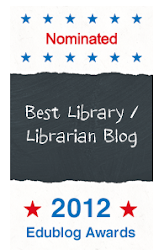 I was so excited to receive an email from ALA President Julie Todaro announcing ALA Book Club Central. Over the last few weeks I have seen lots of pictures and posts with Sarah Jessica Parker surrounded by books and wondered what this was all about. On Saturday, award-winning television and film actor and Honorary Chair of Book Club Central Sarah Jessica Parker will reveal her first “SJP” book pick. She will also speak with the selected author, who will sign copies of the book after the session. Please come by and celebrate with us on Saturday in McCormick Place, W375b/Skyline. 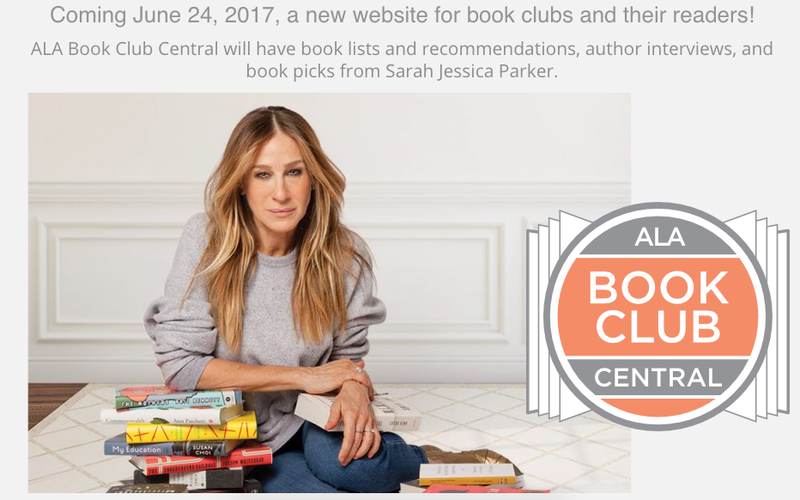 Even if you can’t attend, you can sign up for Book Club Central updates at bookclubcentral.org or follow us on Facebook, Twitter, and Instagram for chances to win a set of books for your club or signed Sarah Jessica Parker READ posters. I signed up today and followed Book Club Central. I can't wait to hear the first SJP book pick announced. I hope you sign up to read with all of us too. 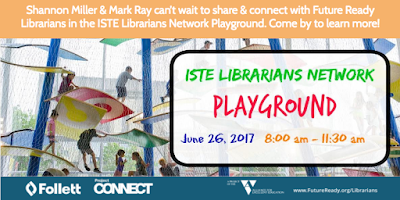 Future Ready Librarians Will Be In The ISTE Playground On June 26! Come By and See Us! 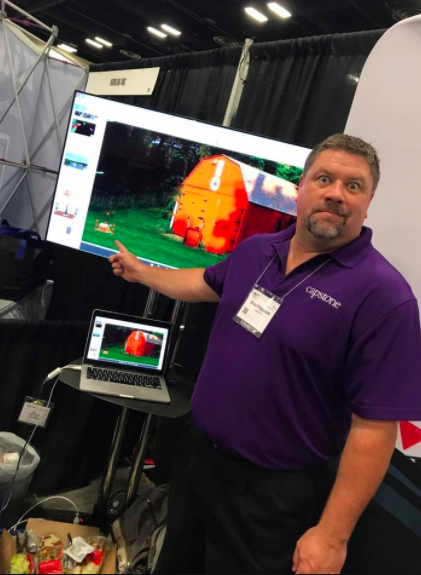 Mark Ray and I can't wait to share and connect with Future Ready Librarians in the ISTE Librarians Network Playground at ISTE next week. 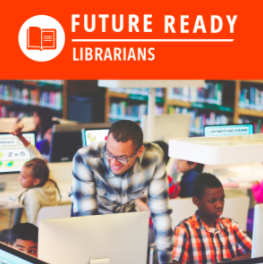 Please come by to discuss, connect and celebrate Future Ready Librarian on June 26 from 8:00am to 12:00pm. We can't wait to see all of you there! Watch This! A Sneak Peak At Collections by Destiny® Coming 7-7-17! 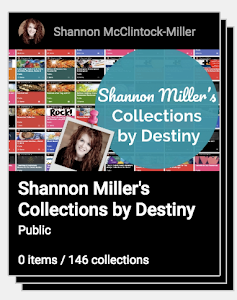 I can't wait for Collections by Destiny® to be available to everyone this summer on July 7! I have tried Collections out for myself. 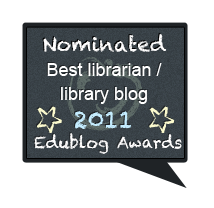 It has definitely changed the way I look at so many things that we, as librarians and educators, must do. And the way our students successfully tackle these skills and tasks too. 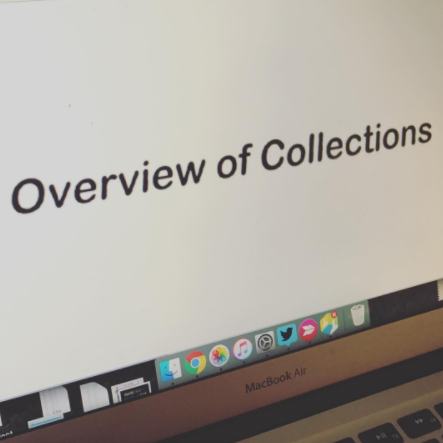 Follett has created this wonderful Overview of Collections to give us all a sneak peak. You can watch it here. I just know you will love Collections. 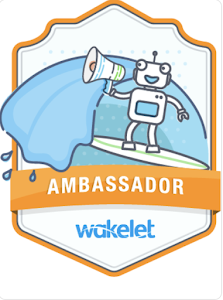 It is going to change the way we collect, create, deliver and share content and resources with our students, teachers and learning communities. It is going to change your life as a Future Ready Librarian too! You can read more at my post, Have You Heard About Collections By Destiny Coming 7-7-17, here. 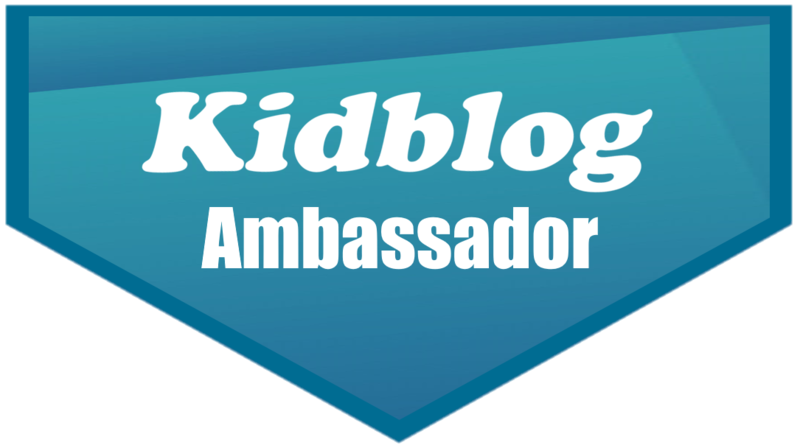 I Have A FREE Flipgrid Account For All Of You! As teachers, we have the opportunity to engage students in opportunities that let their voice be heard. One of my favorite ways to do this is by using Flipgrid. 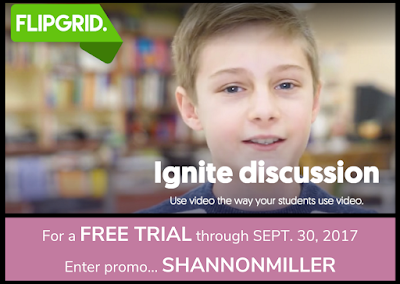 As the site says, Flipgrid is a video discussion community for your classroom that supercharges your students' voices. 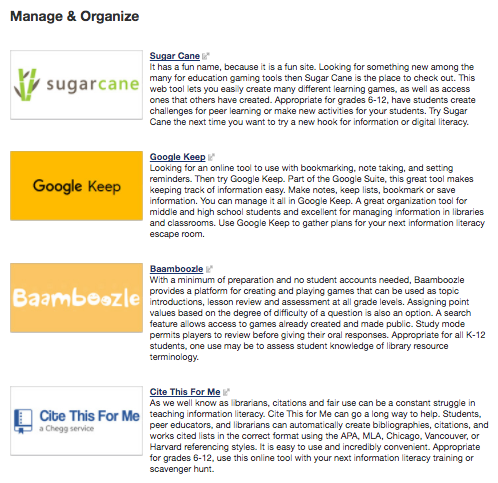 You add the topics, your students respond with short videos and everyone engages. 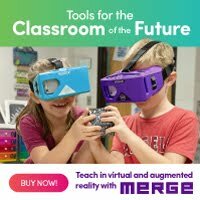 I use Flipgrid with children, teachers and even parents. 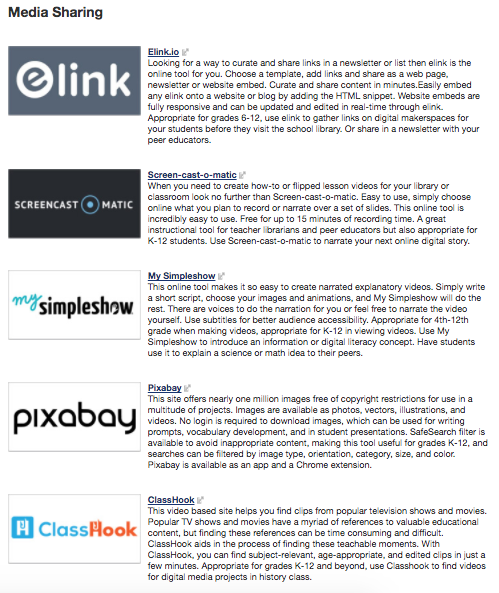 This summer is the perfect time for you to learn how to use Flipgrid in creative and engaging ways too. 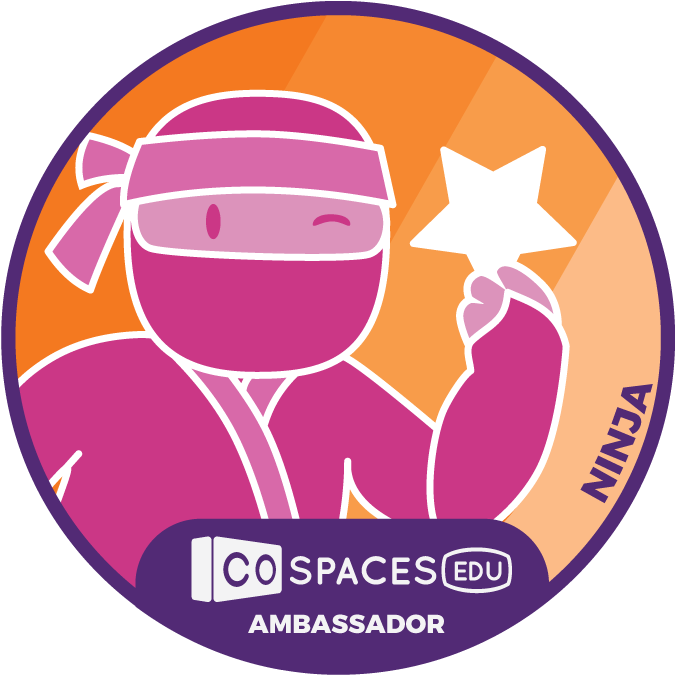 As you try it out, I have a code for you to use that will give you a free trial of Flipgrid now through September 30, 2017. 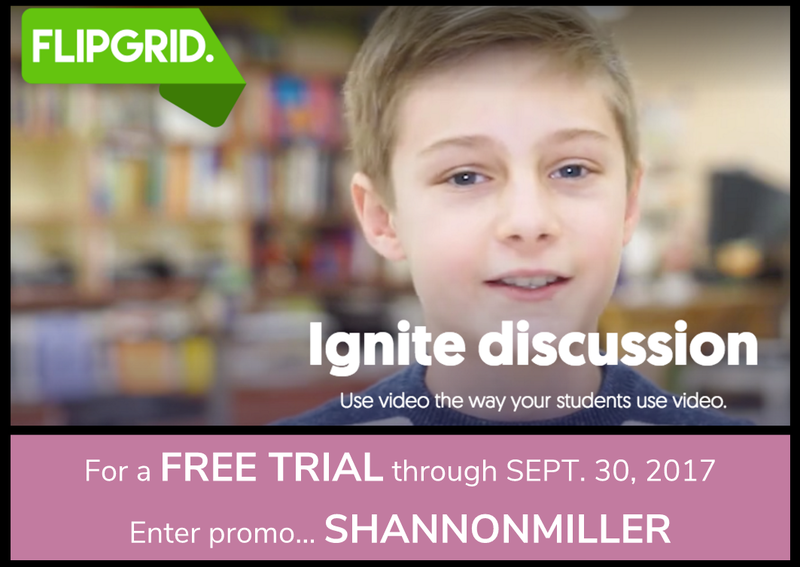 Just go to Flipgrid Classroom and enter SHANNONMILLER into the promo box. 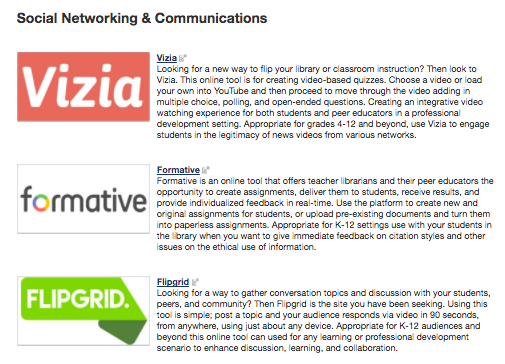 I can't wait to hear all of the ideas you come up with for using Flipgrid. Please use the comments on this post to share yours too. 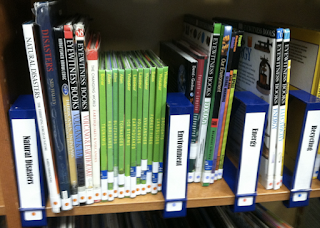 Genrefication is becoming more and more popular within school libraries as a way to support reading, enrich curriculum and engage our readers. At Van Meter Community School, we flipped our collection several years ago. 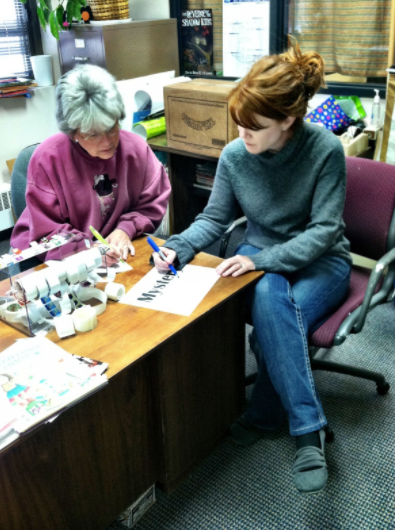 It was such an exciting and beneficial process, which proved to be just what our readers and teachers needed. In fact, through the process of organizing books into categories and genres we created a wonderful student-centered library where the kids gave input and feedback along the way. However, since we were one of the first school libraries to embrace genrefication, there wasn't a lot of information and help available. Have you embraced genrefication or do want to take the next step towards bringing this to your library? 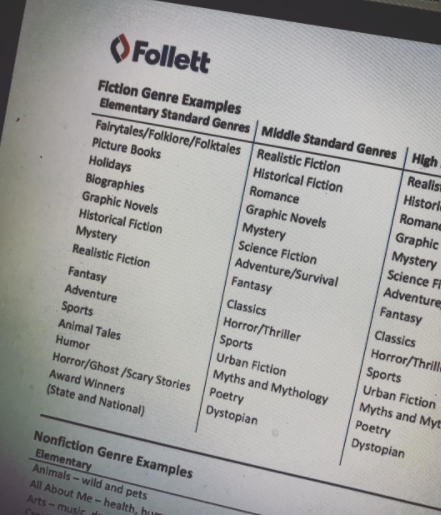 Our friends at Follett now support genrefication by offering amazing services including tips, tricks, guides and best practices along with Genre Consulting Services to make sure this genre flip happens just the way you'd like....quickly and in the most efficient way. 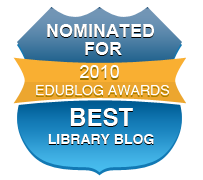 I love this video sharing Lori Kelley's story about genrefication within her middle school library at Katy ISD in Texas. After watching this, you will want to learn more about these services too. 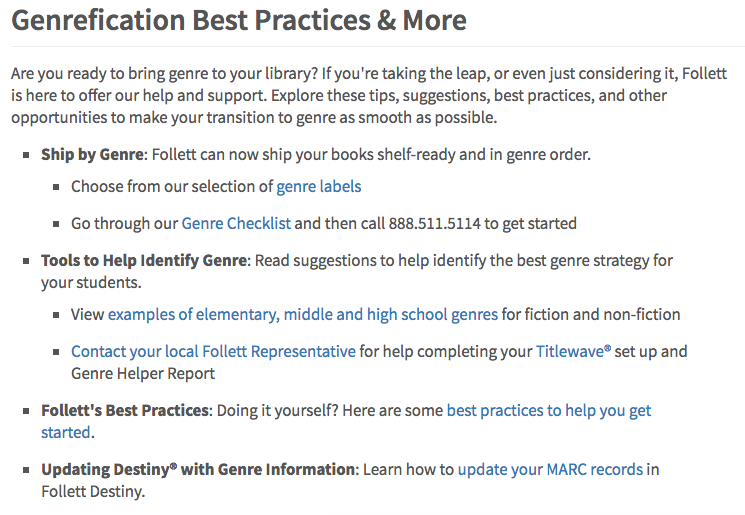 On the Follett Learning website, you will find a new page for Genre Services and Best Practices. 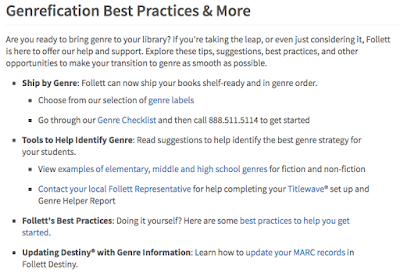 This includes Genrefication Best Practices and More with Tools to Help You Identify Genre; Follett's Best Practices, Updating Destiny with Genre Information and more. 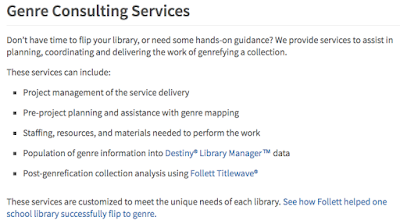 If more help is needed, Follett now offers Genre Consulting Services that are perfect for those who don't have the time or need a little extra guidance in this journey through genrefication. On the site, you will find other materials including an inspiring case study and video on how Follett helped another school library in New York City. 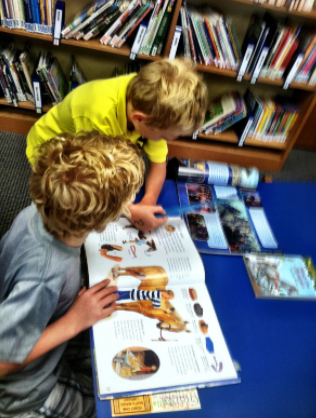 I never imagined that genrefication would lead to so many changes within our library and school, but this change brought something to our readers and to our library that I would do again in a heartbeat. And this time...I would definitely include Follett in this process too. 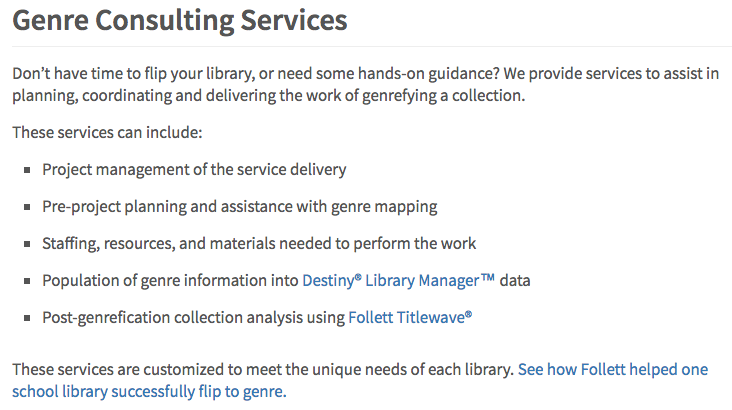 You can find out more about Follett's Genre Services and Best Practices here. Fonts, Fonts and More Fonts! How Do You Decide? 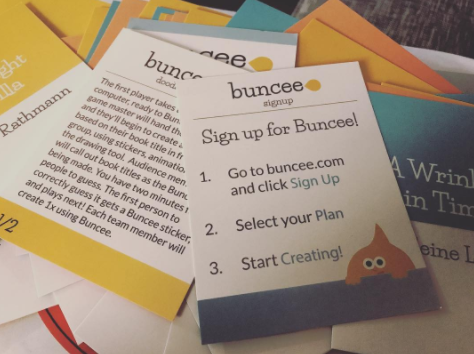 A Fun and Easy Way To Create An RSVP With Buncee! What Are Your Tips and Tricks When Using Destiny?